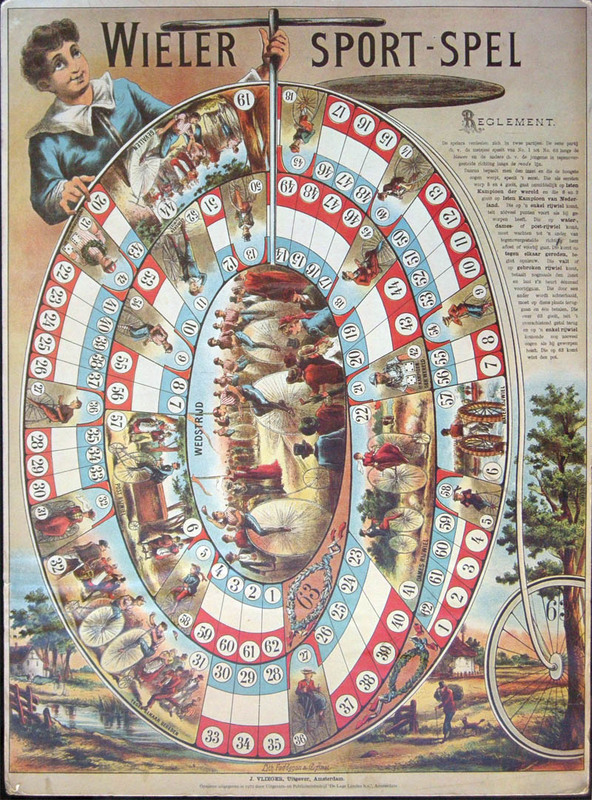 This game is also mentioned in the book Il gioco dell'Oca; Un libro da leggere, da guardare, da giocare (see bibliography) but in this case the reproduction in the book is too small to be played, unlike other games reprinted in the book. 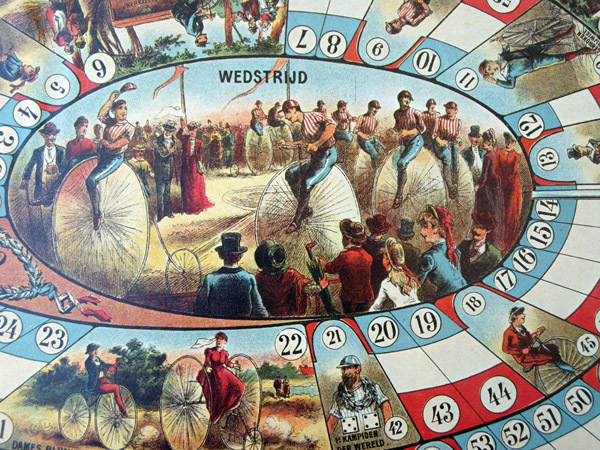 Notice the Dutch and World champion images. 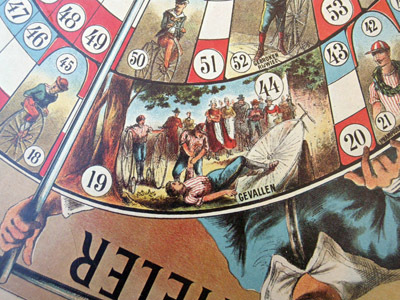 The first Dutch National Championships were held in 1888, but the World championships were not organised until 1921 (for amateurs, and 1927 for professionals). 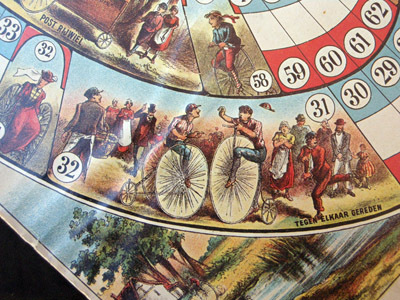 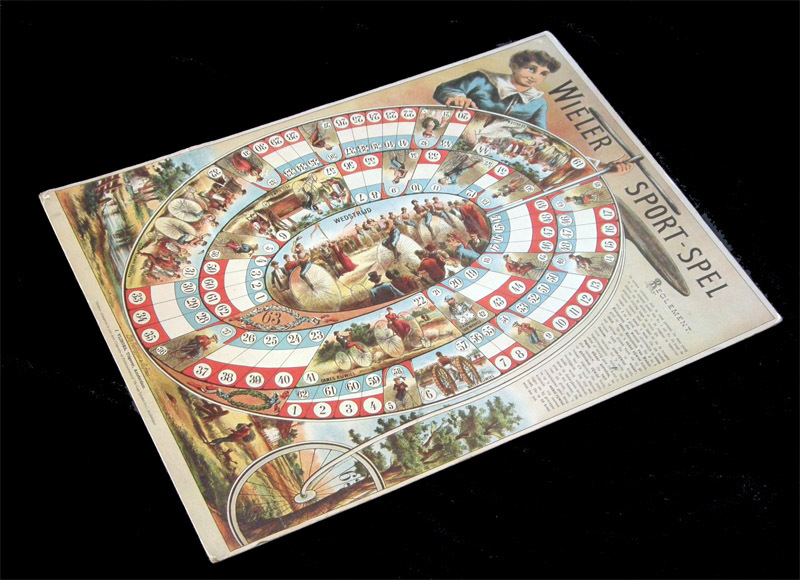 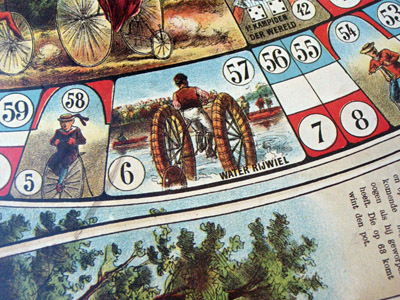 Even by 1888, the high-wheel bicycles pictured in this game were anachronistic. 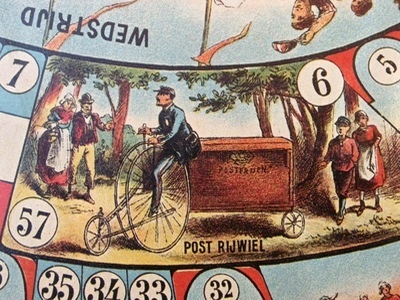 Thanks to Tiny for finding this one.